Browsing people’s profiles on Instagram can help brands and creators deliver the right content to targeted audiences, and keep a pulse on trends. This task becomes difficult when popular or interesting accounts are set to private. Here is a guide on how to view private Instagram profiles and get useful information from them. Users looking for quick ways to view and get information from private Instagram profiles are often resort to so-called profile viewer apps and sites. These apps’ claim that they can let users unlock private profiles in a few quick steps, like this one. A word of caution: Don't actually use this. These sites are prime for malware, and data-harvesting. Users are in for a surprise when they try it though. The apps often require them to complete a lengthy survey before they can even access the front page. Some apps also require users to submit their own details as part of the survey. This is risky as the information can be stolen and used by hackers. The biggest issue people encounter with these apps is that they might not even work as promised. Instagram’s API specifically does not allow third-party applications to retrieve private information from accounts. This means that while some apps might be able to access a few sections, like the account’s follower list, they can’t display the account's photos – which is what you want! When looking for ways to view private Instagram profiles, users will often find that inviting these prospects to follow them is more effective than any app. The challenge is how to get the targeted accounts to actually accept the invitation. The first step for users is to follow their target accounts on the site. This might seem counterintuitive for those looking for an “easier” way to view private profiles, but following that account first before sending an invitation to follow back actually offers plenty of benefits over trying to view the profile by ‘brute force’ with an app which actually won’t work. One advantage is that it lets users study their prospects effectively. By simply following these targeted accounts, users can freely view their public content. These public posts have plenty of information that is as useful as private posts. They can even use these as references for planning their ‘follow back’ invitations. Users need to actively engage with their prospects’ content to increase the chance of them following back. Instead of just liking posts, they can comment and tell the account holder why they like this or that photo. This creates an opening to get into a conversation with prospects and gather more information from them. Sharing content that is relevant to the conversation. Tagging prospects on posts related to the conversation topic. Using the hashtags or topics unique to the targeted account. These tactics will help users get prospects visiting their profiles in a natural manner. 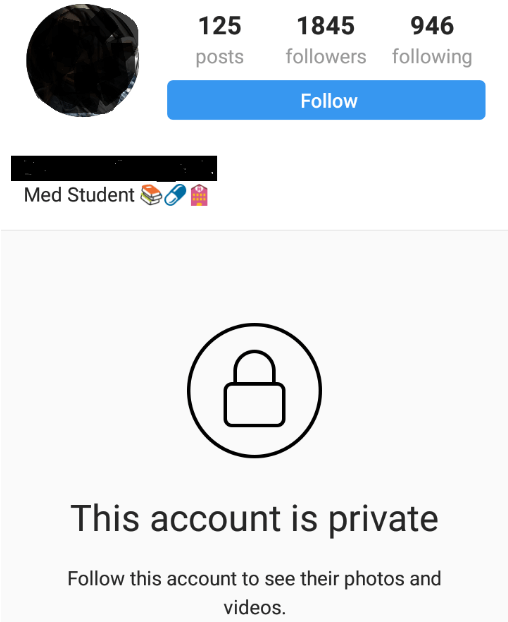 When users have established a relationship with the private accounts they are following, they can start sending these private profiles invitations to follow back. Instead of sending a generic invitation, they should have a compelling call to get responses. Telling prospects what they can gain from following the account is one effective way users can convince them to accept the invitation. Offering to share useful information with the prospect is an effective tactic. Here, they can use the information they have gathered during early interactions to relate the gains to the interests of the private account’s owner. Tailoring each invite to particular prospects will make the offers more enticing. Prospects might turn down a user’s Follow back invitation if they feel that the account is small or insignificant. The logical step is to build their account up. 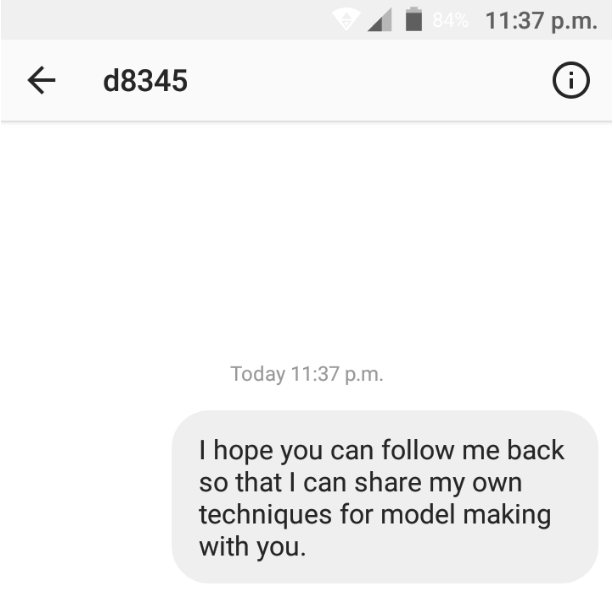 A way to do this quickly is by using an Instagram follower services. These services let users quickly add any number of followers to their accounts. The increase in follower numbers will help boost their accounts’ social proof and convince prospects that they are worth a second look. Most people are going to choose the one with 42,000+ followers over the one with 664, it’s just much more significant! When using services for this purpose, users should consider how many followers to add. That number must be within their account’s expected follower growth. Prospects are often suspicious of accounts that suddenly have thousands of followers and might reject a second invite. It would also be beneficial at this point to read a guide on what to do after buying followers. Beyond boosting follower numbers, users should have some strong backing to convince prospects to let them view their private profiles. This is where connecting and collaborating with influencers is a good idea. When influencers share the content of any user on their account it is a type of endorsement that will get prospects accepting their invites to follow back. To make this strategy more effective, users need to carefully choose the influencers that they collaborate with. They should be the ones that the private account actively supports. Looking back at the latter’s public content will help users determine the right influencers to collaborate with. They can also review their interactions to find that information. The example above may seem a bit extreme, but it’s a larger representation of the micro-moments you can enjoy from micro-influencers. Try linking up with the friends of the private accounts and think of them as influencers as well. Being able to view private accounts on Instagram the “easy” way is something that brands and users have always wanted. As it turns out, all the apps that claim to do that don’t work. Reach out and engage prospects the right way: Becoming followers of the private accounts first will help them gather useful information. Have a compelling follow back invite: Users must give their prospects a good reason to follow their accounts and let them view their private profiles. Make account pages more prominent: Boosting their follower count and collaborating with influencers will help users better entice prospects to follow back their accounts. Following these steps will help anyone view private Instagram pages the right way, and get much better results than any phoney Instagram viewer app available.